Mega is an online cloud storage service, which provides basic options, such as uploading files and folders from your computer, backing up and synchronizing your documents. Once you have uploaded a file, you can right-click on it and make use of the additional features the online file storage platform provides. When you need to share a file or folder, Mega allows you to share your data with other users who are registered to the Mega website. If you plan to share your documents with people who are not registered users, enter their email addresses and they will be invited to the Mega service. Upon sharing, you can set authorization rights to the users – whether you will provide them with read only or full access to the files and folders you share. Since the files you upload to the platform become encrypted in the process of uploading, the users you provide with a link to your files will hardly be able to do anything it, without being provided with your password. To solve this issue you need to include a decryption code that is shared along with the URL to the file. Using this, the other user can freely download and use the files they are provided access to. The JustCloud online storage system does not provide a free version, but its paid service is fully compatible with Windows, Mac and Linux, and also offers mobile applications for iPhone, iPad, Android and Blackberry. With JustCloud you can share files with friends and colleagues, and invite them by email, Facebook, Twitter or provide them with a custom link to your digital belongings. The first thing you need to do in order to benefit from the file sharing capabilities is to upload your files to the web platform. In order to do that you can click the Upload button at the top right section of the website. Unfortunately, you can only upload your files one by one. This way, if you have multiple files, the process becomes rather time consuming. If you have installed the desktop application, the system provides a Drag & Drop functionality, which makes it easy for you to place the files you need to backup in the specific folder of the cloud system. In order to share a file you have uploaded to the online platform, click the Share button on the web application. When you click on this option, you will be transferred to the detailed sharing screen. 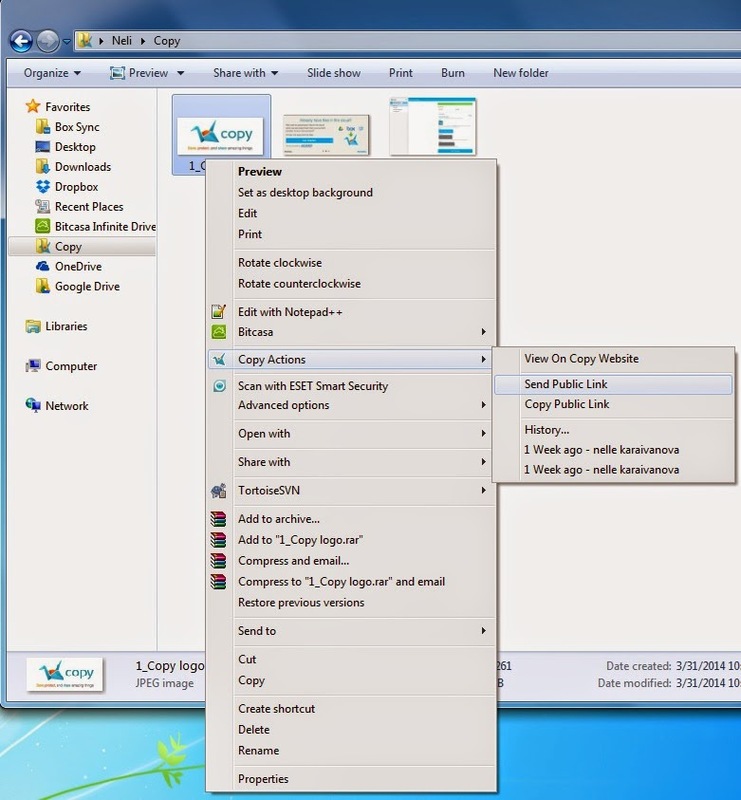 At this step, if you select the Share File tab of the screen, you can send your file through an email. Otherwise, you can click the Public Link section of the screen and send the file publicly through a generated link that you can post on Facebook, Google+, Twitter and other social networks. Or you can simply copy the link and send it to other users through an email or an instant messenger. If you have already shared files with other users, or if other users have shared files with you, at the top bar of the web platform you will get a number of options, among which you can locate the Sharing feature. It shows you a list of the files you have shared (Shared by me option) or received (Shared with me option) as shared by other users. This way you can keep track of your file transfers. Google Drive (formerly Google Docs) now offers wonderful collaboration and file sharing options, which you can use if you simply set up a Google account. With Google Drive, you can use a free online office package, an alternative to Microsoft Office, and you can also share files and folders, as well as collaborate with other Google users and work simultaneously on online documents. Google’s online cloud storage platform now works more like Dropbox or any other file-syncing and backup service, while still keeping its core office functionalities. In Google Drive you can create online files, such as text documents, spreadsheets, presentations and forms, which you can export or share for easy collaboration with other users. 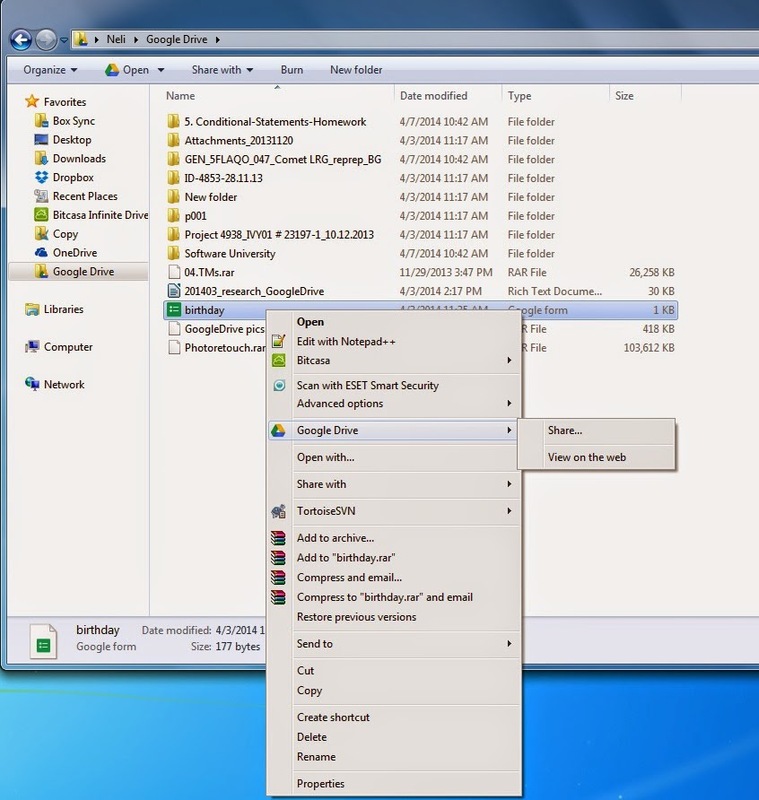 In order to get the most of the Google Drive functionalities, you need to download and install the Drive desktop application for your mobile device or computer. 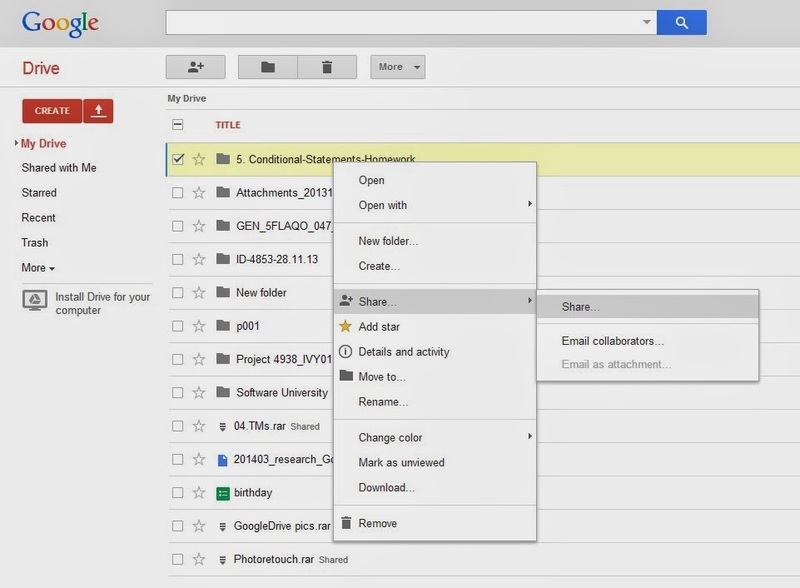 Using Google Drive you can easily share files through creating a customized link. Upon generating the link, you can specify sharing options and user capabilities. For example, you can set various access rights to other users. Copy is also a great choice for a cloud storage service, offering great file sharing and data backup options. At sign up the system prompts you to install its desktop application, which largely eases your work, because it automatically creates a folder on your computer, where you can store your valuable files and let them upload and backup to the cloud. The files you upload to the web platform from other devices also copy to your desktop folder automatically, and vice versa. You can create a link to your files and share the link with other users and friends. This way they can easily view and download your files, even if they do not have a Copy account. There are two ways of sharing files – Public or Private. Public ones can be viewed by anyone, while Private ones require a customized link that you have to send to other users in order to allow them to view and download your files. When you open a link to another Copy account, sent to you from another user, a button appears, saying Copy to Save, next to the Download button. Using this, you can save the file directly to your Copy account. The platform works on Windows, Linux and Mac. On mobile, Copy offers applications for iPhone, iPad, and Android.